What does it take to have fruitful ministry over the long haul? The stresses of pastoring are well known and can be a match for even the best-prepared, most experienced in ministry--multiple tasks, long hours, taxing responsibilities and, yes, some challenging personalities. Too often the results can be burnout, being run out or just feeling worn out. To find out how pastors can thrive as well as survive, the authors undertook a five-year in-depth research project among working pastors. Here in this ground-breaking book is the distilled wisdom of dozens of pastors who have been on the front lines of ministry. We hear from them what works, what doesn't and what distinctive issues people in ministry face. The authors uncover five key themes that promote healthy, sustainable ministry that lasts--spiritual formation, self-care, emotional and cultural intelligence, marriage and family, leadership and management. These themes are unpacked from the vantage point of ministry on the ground. Questions for personal evaluation and reflection are included throughout the book to bring home the significance of each section. This is the perfect companion for a peer cohort of pastors to read together. It can also be of value to church boards and others who want to better understand how to help sustain their pastors in ministry. In short, this is a book pastors can't live without. "Resilience is a trait of gifted leaders, clergy and laity alike. In this wise, insightful and intensely practical book, Burns, Chapman and Guthrie draw on extensive interviews and research to illumine traits and practices that nurture resilient ministry. 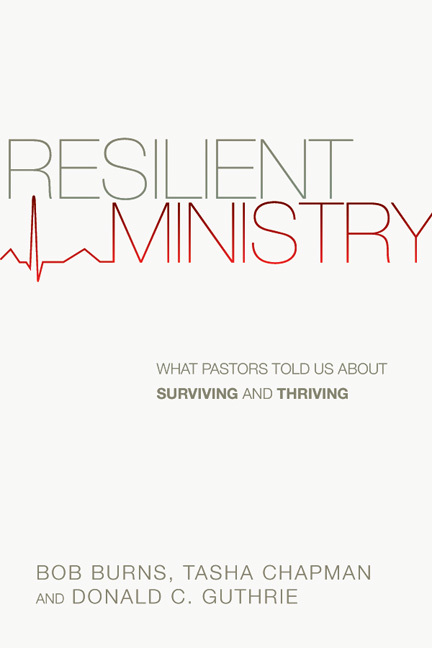 Read, discuss and practice Resilient Ministry for yourself and with colleagues in community." "Isolation, relentless demands and little nurturing result in many ministry leaders abandoning their posts. The authors have exposed much of this to the light along with a solid understanding of what is needed for pastors to thrive as faithful servants. This book is also a call to the church to care for its shepherds." "Highly practical, spiritually substantive and rich with examples and suggestions, this book offers much-needed insight into factors that are crucial for long-term flourishing in pastoral ministry." "Burns, Guthrie and Chapman provide not only painstaking research and thought-provoking analysis in Resilient Ministry, but also even more--they provide a path forward for sustaining excellent ministry over the long haul. As a result, this book needs to be required reading not just for theological educators and judicatory and denominational officials, but also for pastors (and pastors' spouses) and lay leaders--everyone who cares about Christ, his church and his ministers. If Christ's church advances, it will only be through ministerial leaders who are resilient, committed, sustained and growing. Burns and company show us the way." "This book is accessible to both church leaders and lay Christians, and is must-reading for every believer who is willing to faithfully care for the pastors God has called to shepherd them." "The content of the book certainly has the potential to help pastors to not only survive but thrive in ministry." "Any pastor and spouse will greatly benefit from a study of this material. It will confirm God's call and presence in their life and ministry, strengthen their ministry skills, and help clarify the roadmap of their ministry journey." 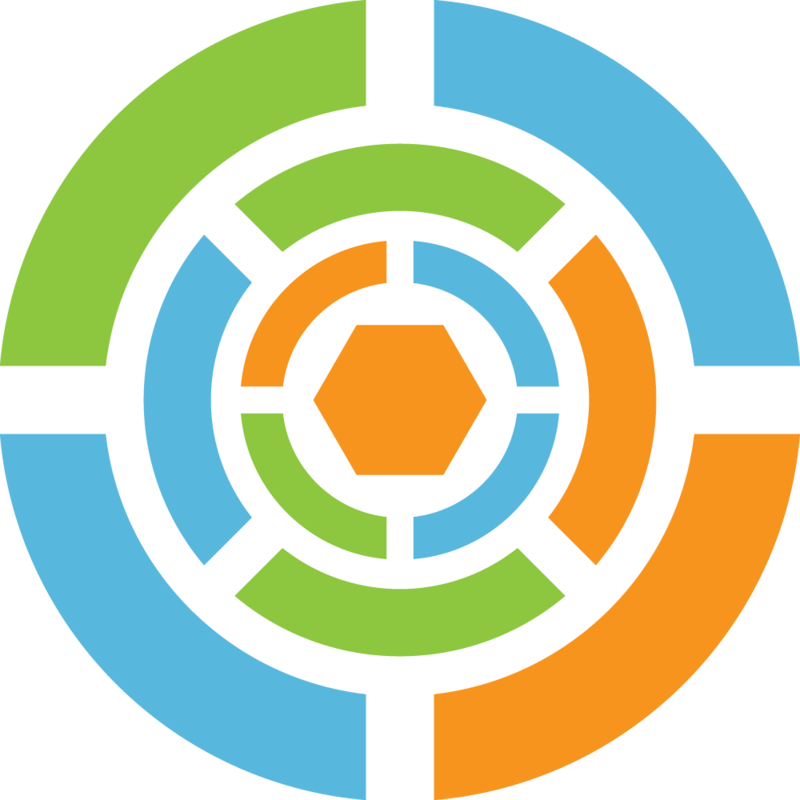 "This is a very strong 'all-in-one' resource, especially if you have not had a formal digital strategy in the past. Bourgeois's clear explanations of various tools and digital philosophies are excellent." "Resilient Ministry is a refreshingly practical book, packed with big and small suggestions for persevering and excelling in Christian ministry. . . . There is no doubt that this is a book I?ll be coming back to again and again for remembering the priorities of resilient ministry"